Cambridge Institute of Public Health (CIPH) is part of the School of Clinical Medicine at the University of Cambridge, and is a world leader in public health. We are a membership organisation whose members include outstanding public health academics from across the University and public health professionals working outside of academia. 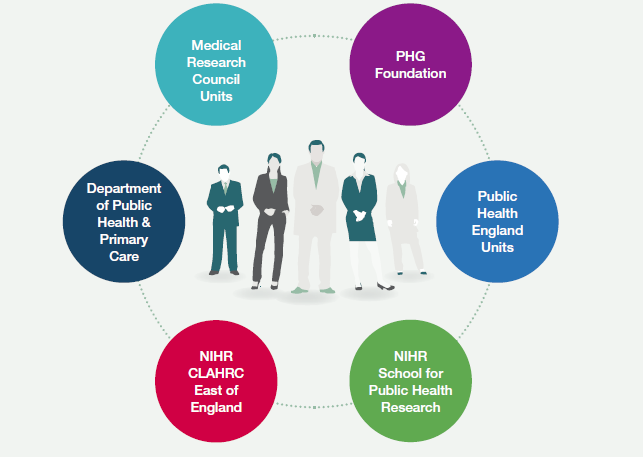 CIPH hosts the Public Health at Cambridge Network which cuts across all six Schools within the University.